Why do so many Riverside drivers go with the Chevrolet Colorado? • The Colorado is a well-performing mid-size truck with a good amount of power. • This truck can tow up to 7,700lbs. and has an available 308hp, so it can manage tough jobs. • You’ll be connected and enjoy a smooth ride with built-in Wi-Fi and a cabin designed for reduced noise and vibration. • It has good fuel economy for a truck, saving you on gas. Browse our inventory of new Chevy Colorados in Riverside to find the color and features you require. For extra info on a Colorado test drive, contact us at (951) 643-7003. Are you in the market to upgrade your current vehicle? 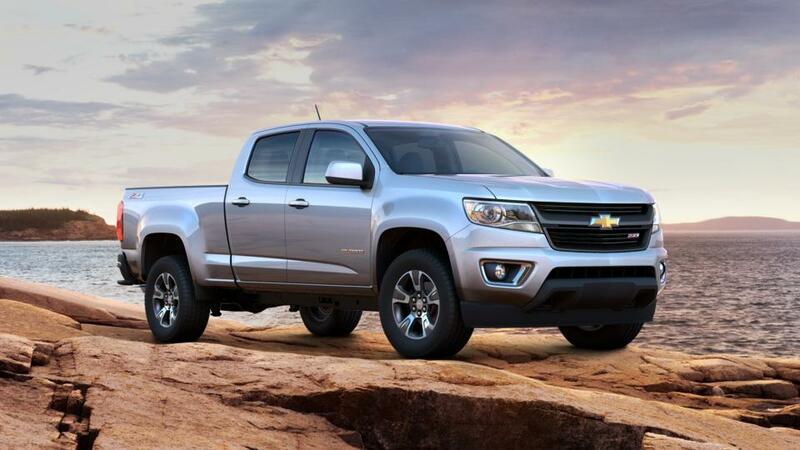 Riverside Chevrolet has a premier selection of well priced used 2015 Chevrolet Colorado vehicles and other popular models for your driving needs. As a favorite used auto dealership in Riverside, CA, we proudly offer some of the best values on our top selling models of cars, SUVs and trucks, boasting the latest in design, technology and features. Come in today for a test drive in any of our featured Riverside used 2015 Chevrolet Colorado vehicles on special or other new and used models that catch your eye available now at our popular dealership. For Riverside used cars, trucks and SUVs, the best deals are at Riverside Chevrolet.